Situated in the south part of the Dugi Otok, Sali is also the largest place on the island, although it has before all been a place oriented at fishing. 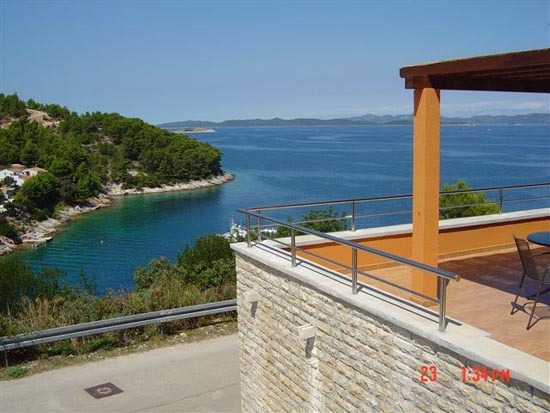 In the last couple of years Sali has also become the most important tourist centre of Dugi Otok. Apart from the rich and various offer of apartments, studio apartments and rooms and the high quality cuisine based on the fish and seafood specialties, it also offers numerous possibilities for an active holiday. At its pebble and paved beach Bocac, which is never too crowded, there are many possibilities for water sports without disturbing the peace of other visitors. If you are lucky, you will experience their legendary manifestation called Tovareca muzika (donkey’s music). This manifestation has its beginnings in a practical joke that young people would play on senior wedding couples; today, however, it has become an important part of every local celebration. During your vacation in Sali, do not forget to visit the Nature Park Telascica located only a few kilometres away. The place is surrounded by numerous natural gardens and olive yards and beautiful beaches, and it has all you need to spend an undisturbed vacation far from the city noise and bustle.